The Vice Chairperson Amolatar District Local Government has asked government should reward fishermen with proper gears to help in enforcing the ban on illegal fishnets. Geoffrey Ocen in an exclusive interview with Radio Wa reporter on Tuesday expressed his fears that the UPDF operations to enforce illegal fishing alone may not be achieved. He suggested that government should employ the Karamoja strategy where packages were given out to whoever handed over his gun willingly to government . For Amolatar, he asked that government under the Ministry of Agriculture, Animal Industry and Fisheries should device a way of distributing recommended fishing nets to fishermen in exchange for the illegal ones. 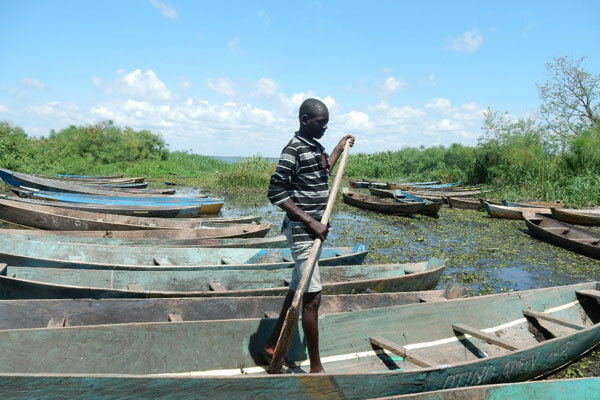 But, Anthony Otunga, the District Fisheries Officer for Amolatar said fishermen are stubborn people who even if given recommended nets, still smuggle unwanted ones to catch immature fish. He said the culprits should always be brought to book and prosecuted. Currently, the UPDF operating under the Fish Protection Unit are deployed on Lake Kyoga to curb down illegal fishing. However, not much seems to be realized as several undersized nets continue to be confiscated and burnt but more are yet in use.